The electives one may choose from in a Master's in Public Health today can be quite diverse. There are, however, a select bunch of such elective courses found to be more popular with most students than others. The following are some of the more commonly chosen elective courses in this degree program. While the field of public health examines the health of entire population sets, it also studies smaller groups within the larger set. Vulnerable, or "under-privileged", populations experience some of the greatest impacts of public health concerns. As such, an important area of academic study is vulnerable groups of the population set. Classes focusing on health disparities in vulnerable populations study the needs and potential disparities in healthcare provision experienced by these groups. Communication is another critical part of the healthcare and public health realms. This is because clear and concise data is necessary to proper understanding and management of the health of entire populations. Organizational communication, therefore, is another popular and highly conventional elective choice. While there are typically a number of communications-related courses required in a Master's of Public Health program, this particular elective course adds dimension to the student's awareness via exposure to the communications methods, flaws, and successes seen throughout the greater business world. Unbeknownst to many, childhood obesity is an epidemic which is currently making major waves in public health in the United States, according to the Centers for Disease Control and Prevention. This is because of its links to not only quality of life and health issues for the child, but also its direct and proven connections to the same issues continued into adulthood. Current Research in childhood obesity is therefore a highly relevant and increasingly popular choice in public health program electives. In a Master's of Public Health program, there are many opportunities for students to explore the successes, failures, and theories in public health. 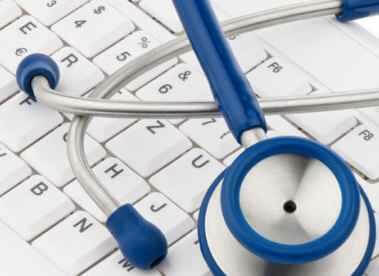 An additional course students often elect to take focuses on evaluation of healthcare quality. This course specifically dissects matters of past, current, and future quality in public health issues. Students can expect to delve into the more finite and often hidden issues that govern elements of quality in healthcare and public health. Public health is one of many areas of study today that relies heavily on geographic data and concepts. Some of the ways in which the field handles such geographic elements is through the use of interactive mapping systems, also known as geographic information systems. These digital systems can be used in any number of ways to track, coordinate, and study matters of public health throughout geographic areas. While complex issues may abound in the public health sector, these types of systems help to make it all a bit more manageable. Public health careers today represent a growing and incredibly important professional sector. A master's degree can open many doors in this rapidly expanding field. For those wanting to make the most of their coursework for the Master's in Public Health, these five electives represent some of the most utilitarian and popular options.